It’s a sad fact that as a nation we're the heaviest we've ever been. Two-thirds of West Australians are considered overweight or obese. 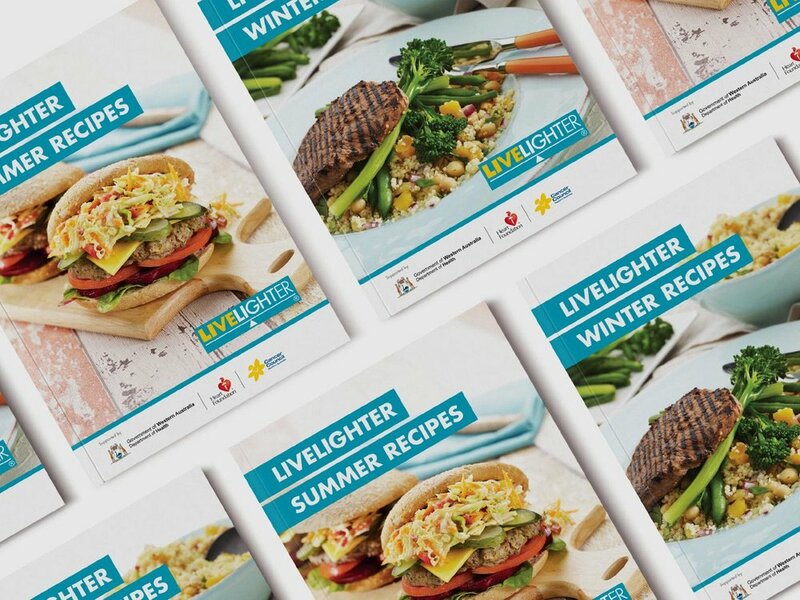 The Heart Foundation (WA Division) combined forces with the Health Department and Cancer Council WA to bring awareness to this issue with the LiveLighter campaign. 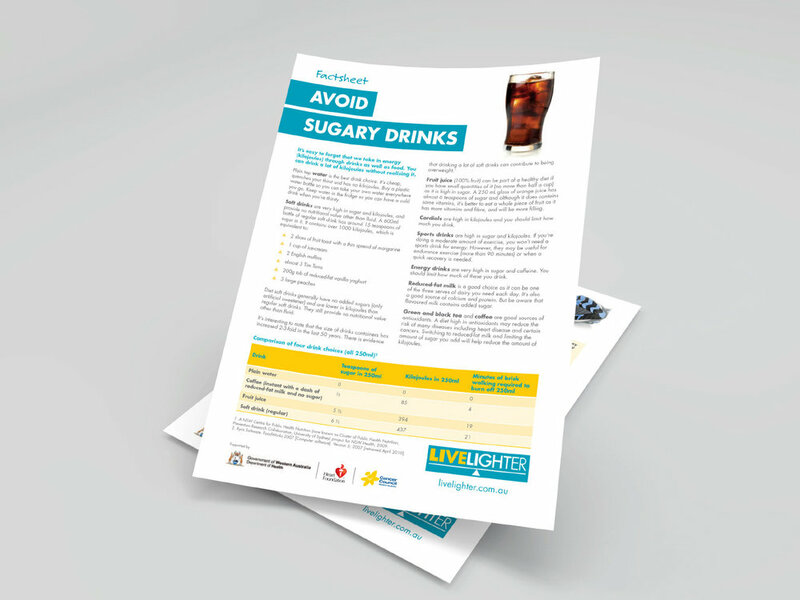 LiveLighter is a public campaign designed to help West Australians lead a healthier lifestyle through both diet choices and physical activity. 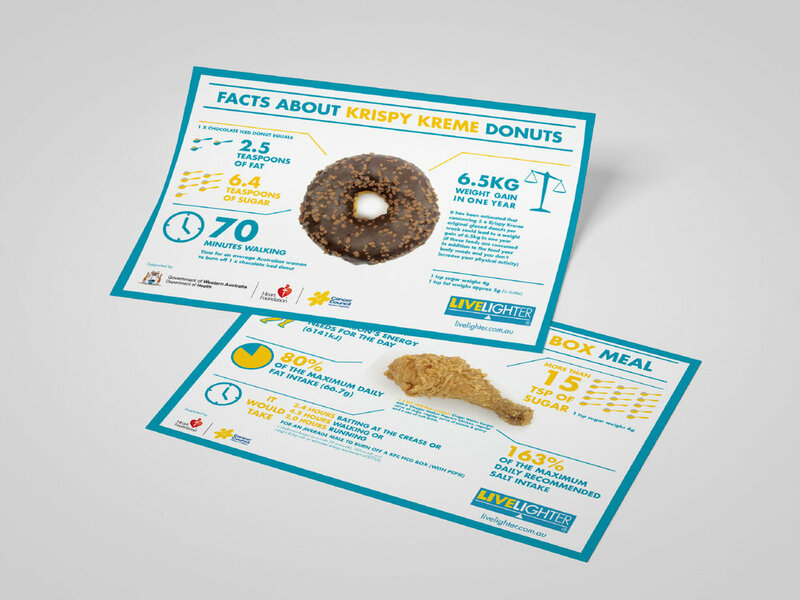 Since the campaign first appeared on the Perth scene in 2012, we have been working with the Heart Foundation to deliver the message through below-the-line applications with banners, presentations, flags, fact sheets, posters, food guides, brochures, recipes and many other resources to help spread the message. A series of custom recipes and in-centre cooking demonstrations were held in various Colliers International-managed community shopping centres as part of their food-themed promotion.